Festivus is one of those words that Seinfeld fans would know, but not necessarily all T.V. watchers know about this little known holiday. I stumbled across this word while on the internet today which brought back fond memories of other Seinfeld episodes. Festivus made me stop and think about all the celebrations that occur this month. With Groundhog’s Day, Presidents Day, Super Bowl Sunday, Mardi Gras’ Fat Tuesday, Ash Wednesday, Valentine’s Day, and Leap Day, February is probably the most festive month of the year. You probably didn’t realize that there are some lesser known holidays or national days that occur this month, too. 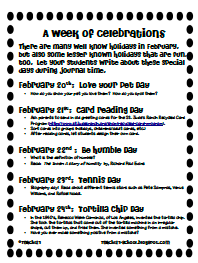 To give your journal time a festive twist, let your students write about these lesser known holidays this next week. Click below to get your FREE copy. There are extension ideas included in this packet. 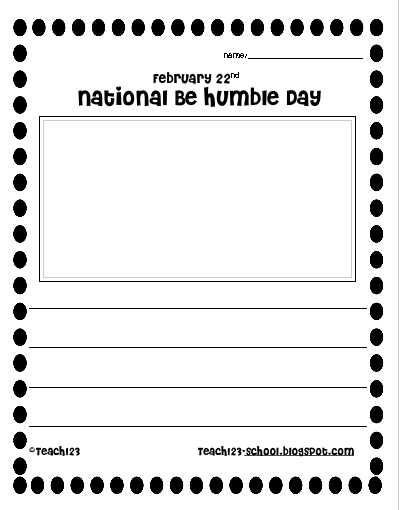 This writing assignment can be used during journal time, as a literacy center, or as a homework assignment. 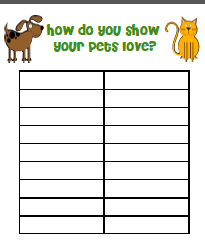 Let your students record their answers on this chart. 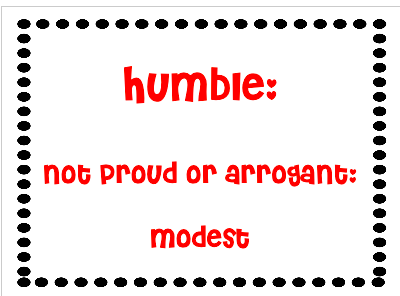 Sign with the definition of humble. 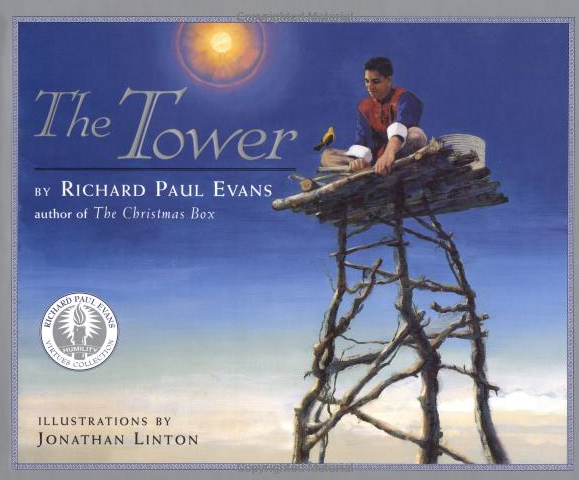 The Tower is a book that illustrates what happens when you’re not humble. One day a passing bird tells the young man of an old woman who is greater than he. So he descends from his tower and discovers the poor woman feeding a flock of birds. She shares the wisdom that “to be great is not to be higher than another, but to lift another higher.” Only when he meets a lonely child who proudly holds himself apart does the young man finally see the truth of her words. With his feet at last on the ground, the young man commits an act of great generosity, achieving his wish in a way he never expected. 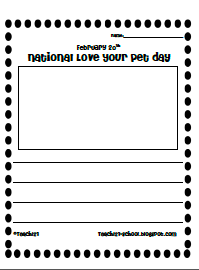 LOVE the idea of non-traditional holidays! I always celebrated Oreo cookie day…caked with themes in every subject for the day (not in Feb) & another one of my fav's was pancake day (please don't make me remember the dates…hehehe). I used to watch Seinfeld with my parents and I loved the show…too funny! I love non-traditional holidays, too! Welcome to my blog, ladies! Glad you could join the fun. Thank you! That was sweet of you.